Discovering your ancestors can be a fascinating hobby, and you will learn a great deal about the Victorian generation and beyond. 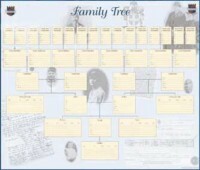 This attractive wallchart measuring 594mm x 420mm (A2) is perfect for recording your family tree. 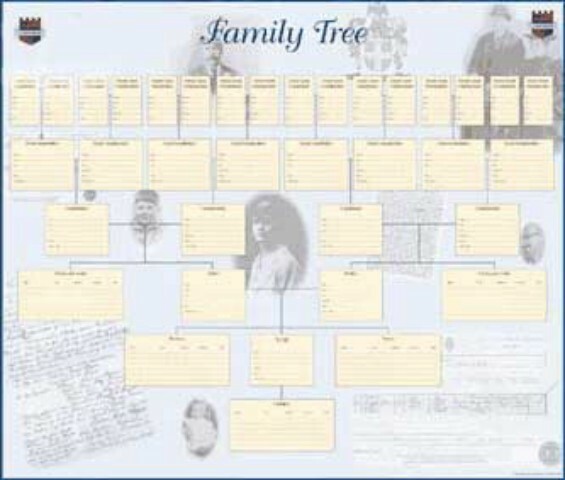 The chart comprehensively covers six generations, from the current generation to great-great-grandparents and also includes boxes for aunts and uncles. As you discover information you can fill in the chart. Supplied folded.